Bullmastiff dog is a pet of choice by the majority of people throughout the world. People love to have a brave and courageous dog. Bullmastiff dog is giant in appearance having the muscular and massive bodies. They are prone to various health disorders. Among various health disorders, the Bullmastiff dog bloating issue is a common one which affects a number of dogs. Bullmastiff dog stomach issue is ample to affect their performance. Bullmastiff dog is one of the oldest dog breeds which was produced by the crossing of the Bulldog and Mastiff dog. The traits and characteristic of both dog breeds, Bulldog and Mastiff dog, are present in the Bullmastiff dog. Bullmastiff dog contains the V-shaped ears which are dark in appearance. The black face mask proves a proper identity to this dog breed. They can sense the danger around and fight well with the enemy. Their fighting nature makes them a warrior dog breed. They leave no stone unturned to protect their masters. Bullmastiff dog is an amazing dog breed as they do not demand much maintenance. They are not like the dog breed which keep on barking the whole day. It does not bark much. Loud snoring is a fact about them. They snore quite loudly that is ample to disturb the sleep of people. Bathe them when required. Use a good quality shampoo for the bathing purpose. Purchase a brush having rubber curry on it. It aids in proper brushing of the dog’s coat. It is great to remove the dirt, dust, and debris from the coat. What is the perfect definition of bloating? Many of the people remain confused about the bloating. They are unable to know either the dog is suffering from the bloating issue or any other issue. Let us figure out what is the perfect definition of boating. 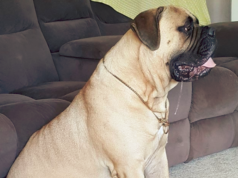 Having knowledge about the definition of bloating makes it easier for the owners of the Bullmastiff dog to care the dog according to the condition. Bloating is such a medical illness which is characterized by the swelling due to the accumulation of gas. It is mostly felt in the abdominal area. The gas accumulates over there and increases in diameter. Ultimately, causing the discomfort to the Bullmastiff dog. The Bullmastiff dog feels the tightness of the abdomen. It does not feel hunger as it feels that the stomach is full. It is accompanied by the abdominal pain as well. In addition to this, the enhanced stomach growling may also result in the Bullmastiff dog bloating issue. 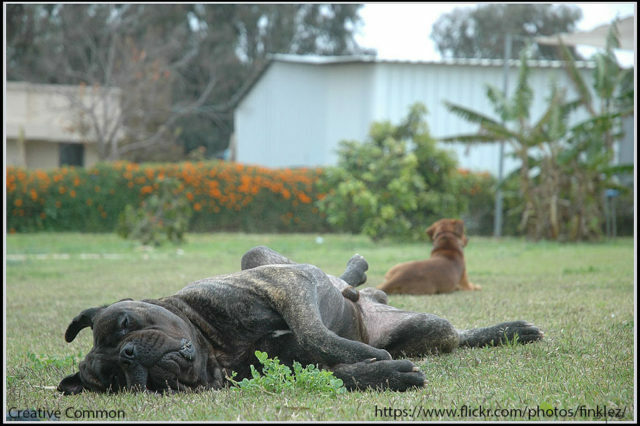 What are the main causes of Bullmastiff dog bloating issue? Bullmastiff dog feels pleasure while playing with the kids. It actively participates in the playing activities. It is an intelligent dog having guarding nature. It contains thick, short and dense coat. 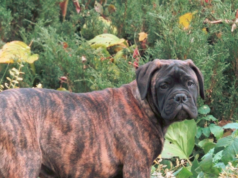 According to the AKC standard, there are three approved colors of the Bullmastiff dog’s coat. It includes fawn, brindle or red color. The presence of white color is not allowed. However, little white markings on chest area can be present. The improper or partial digestion leads to bloating. The digestion issues should be addressed as quickly as possible. Proper digestion is necessary for the good health. The pooer the digestion is, the poorer the health status would become. Taking the meal at the right time is necessary in order to combat with such issues. Take the meal at proper time and frequency. Provide the meal in divided portions to the Bullmastiff dog. The balanced diet having good nutrition value should be considered for the pet. The food of low or substandard quality may cause the digestion issue. Bullmastiff dog bloating issue occurs due to improper diet.The food having plenty of chemicals should be avoided. It can easily affect the stomach and intestine. Bowel obstruction and Chron’s disease are some medical medications which contribute towards this notorious issue. Prevent your Bullmastiff dog from overeating. Food allergy, aerophagia, and massive infestation may also cause the bloating issue. Celiac diseases are quite common to cause bloating. These are the additional causes of Bullmastiff dog bloating issue. Owner of the Bullmastiff dog needs to keep an eye on the dog’s performance and activities in order to know about any changes in its health. On observing any symptom of the bloating, immediately take your dog to the veterinarian for the examination. A vet would check the health status of the dog and recommend the treatment accordingly. The average lifespan of a Bullmastiff dog usually ranges from 8 to 10 years. The quality of life can be improved by the ensuring of good health of the pet. A pet is no doubt a special family member. This integral part of the family deserves to enjoy the good health. Hence, the owners should take good care of their pet and consider the regular checkups. It lets the owner of the health disorders from which the dog is suffering from. 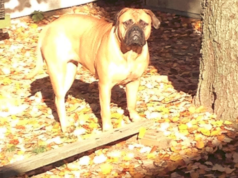 The Bullmastiff dog bloating issues can be prevented by taking some precautions. The precautions for bloating issues should be taken. It prevents the dog from the discomfort. Taking the proper care of dog’s diet prevent the dog from bloating issue. In addition this. Regular morning walk aids in proper digestion. The physical activity helps the dog to suffer from gas issues. A Bullmastiff dog can weigh from 110 pounds to 130 pounds. They are relatively calm and taller dogs than other dog breeds. They can depict a height of up to 27 inches. Besides this, they are well known for their obedience. They respond well to the commands of their master. They show positive response towards socialization and training.